McDonald’s adds more reasons to say “hooray” in the mornings. 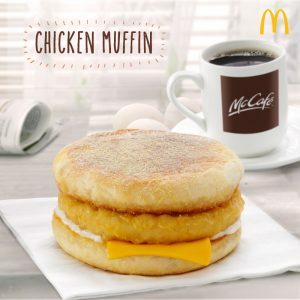 Early birds can now choose from a wider variety of breakfast items with the addition of three new and exciting breakfast treats—the Chicken Muffin, Chicken Egg Muffin, and Sweet Ham Special. Treat yourself to a Chicken Muffin made of a savory and crispy chicken patty, served with a slice of creamy cheese and tangy mayo, sandwiched in toasted English muffins. Try this with a Grade A round egg by getting the Chicken Egg Muffin. 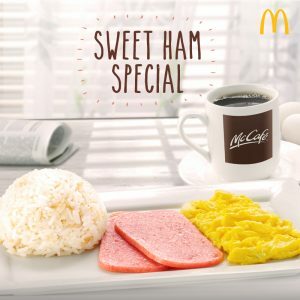 For rice-lovers, McDonald’s offers the new Sweet Ham Special where slices of sweet and juicy ham are served with soft and moist scrambled Grade A eggs and a cup of tasty garlic rice. Starting at just Php65, these three new breakfast items are now available in all McDonald’s breakfast stores from 4:00 AM to 10:30 AM. 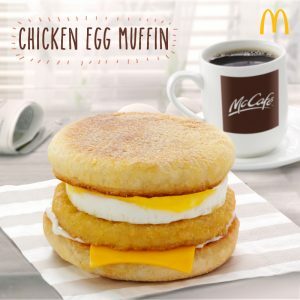 Enjoy these with a cup of McCafe Premium Roast Coffee and McDonald’s Hash Browns to complete your most important meal of the day. 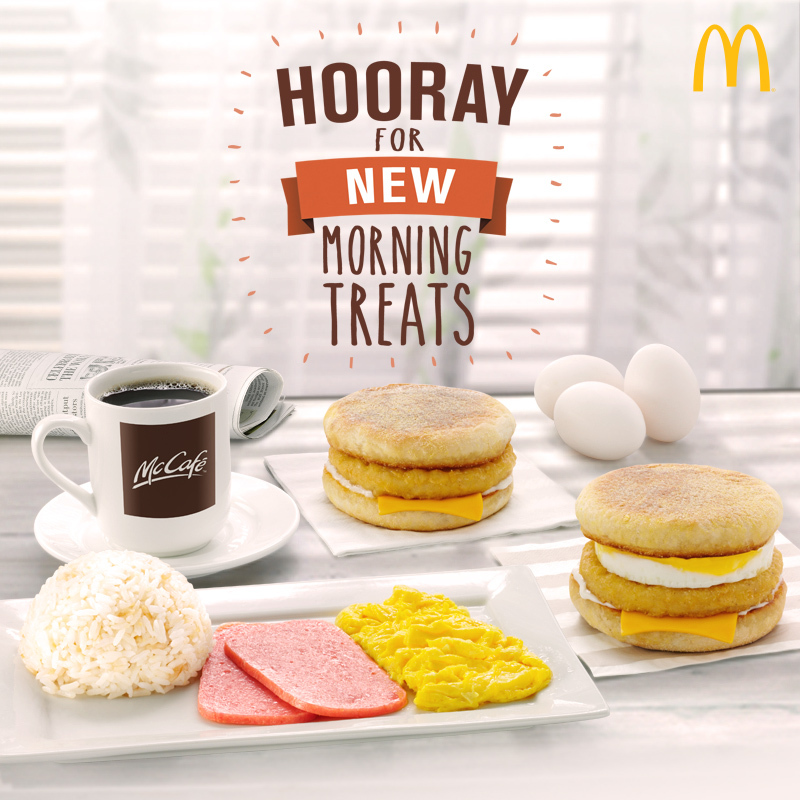 Head to the nearest McDonald’s store to try the new breakfast treats! 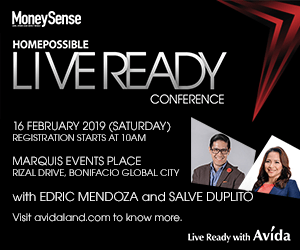 For those in a morning rush, these are also available through Drive-Thru, Take Out, and McDelivery via 86-2-36, www.mcdelivery.com.ph, or the new McDo PH app.